Brad Bird’s “1952” Retitled as “Tomorrowland”! As you all know, Brad Bird’s secret Disney film project, “1952”, has been causing a lot of talk amongst the Disney fans and movie lovers alike. This has been escalated recently after Mr. Bird tweeted pictures of a Disney box with paraphernalia apparently associated with this motion picture. 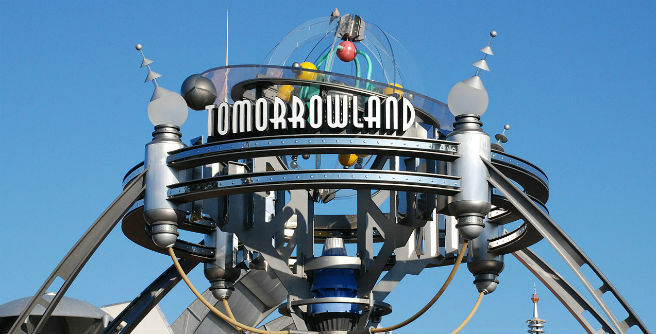 And now, we have even newer developments: The film is now renamed as “Tomorrowland”! This will be sure to get tongues wagging again! Whaddaya think it’s about? Does an adventure occur at Tomorrowland? Is it about the formation of Tomorrowland? Does it have nothing to do with Tomorrowland and is just given a distracting name? Lemme know in the comments. Author The Animation CommendationPosted on January 29, 2013 Categories Animation NewsTags 1952, brad bird, disney, disney world, disneyland, george clooney, magic kingdom, tomorrowland, walt disneyLeave a comment on Brad Bird’s “1952” Retitled as “Tomorrowland”!